California will begin its first statewide collection of data on students who are chronically absent, a key indicator of academic trouble, the California Department of Education said Thursday. 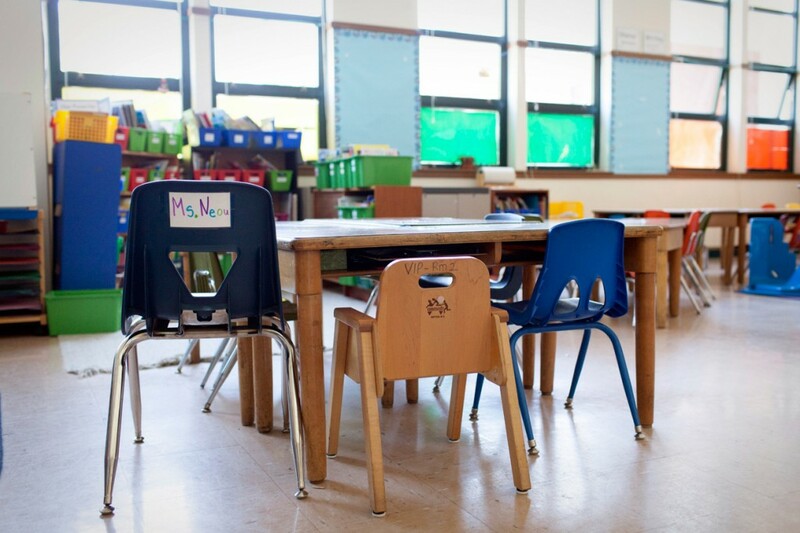 The change is the result of the new federal education law, the Every Student Succeeds Act, signed by President Barack Obama in December, which requires states to collect and report data on chronic absenteeism. Keric Ashley, deputy state superintendent of public instruction, said in an interview that the state will begin collecting the data from districts in late spring 2017, based on attendance for the 2016-17 school year, and will use its current definition of chronic absenteeism as a student who is absent more than 10 percent of the days in a school year. Districts will upload their data into the state student data system known as the California Longitudinal Pupil Achievement Data System. Housing the data in that system will allow the state and the districts to disaggregate the findings by factors that include gender, eligibility for free and reduced priced meals and ethnicity, Ashley said. The statewide data will be publicly available. Districts will report two figures at the end of the school year for each student: the number of days in the school year and the number of days the student attended. If a student attends a school for only a few months, chronic absenteeism would be calculated by the number of days a student could have attended the school divided by the number of days the student did attend. “What it doesn’t do is look at data in real time,” Ashley said. “This isn’t something to be used as an early warning system.” Instead, the data will give school districts a look at how well they are keeping track of students who are missing more than 10 percent of school. Advocates have urged districts to develop faster ways to identify students who are missing a lot of school, for excused reasons, unexcused reasons or disciplinary suspensions, so interventions can be put in place. In a letter to acting U.S. Secretary of Education John King, the nonprofit organization Attendance Works urged that districts be asked to analyze their data “on a weekly or bi-weekly basis, if not in real-time” to quickly identify students who have missed 10 percent or more of school. Attorney General Kamala Harris, who has said that focusing on elementary school attendance is a “smart, cost-effective” approach to improving students’ lives and keeping them out of the justice system she oversees, has made no secret of her frustration with data collection. For years, she has lobbied for a statewide data collection system for chronic absenteeism. California has been one of a handful of states that does not collect that data. As a teacher, I am glad that the longitudinal database will be tracking days in class. Actually, when the students’ academic performance scores are sent home students should receive their own attendance percentage grade. I have long said that I cannot teach a student not in class. I know that people are angry about schools having to do extra work to get students to school because parents are not, but those parents may well have been educated in California and never “got” that education is important and it starts with showing up to school. With cuts in transportation funding, perhaps the added effort makes for unnecessary hardship. Students not tied to the school bus schedule are able to stay after school for additional help or enrichment that cannot be fit into a school day. So those with no other opportunity to get to and from school are left out. Data is very useful to help identify problems and then to see if mitigation measures are working. Let us hope that the trend for increased attention on attendance continues and attendance improves. Every day, every student learns. I realize this is a major issue, however I feel that parents are where the focus needs to be. Why are they not getting their child to school? Perhaps we should consider a way of holding parents accountable. One suggestion: similar to how people now must provide a document similar to a W-2, proving they have health insurance when filing taxes, perhaps they should also provide a document from their child’s school proving attendance of 90% or greater, in order to get the child credit on their return. Just an thought. Well once she has the data what’s the plan? How do you get kids who are truant to come to school? Having fun on computer drudgery? Take more SBAC tests? What a good time! Absenteeism is not going to improve until parents are held accountable for not bringing their children to school. Its not the schools, teachers or distrcts’ responsibility. It is the parents’ responsibility to get kids to school. What’s next? Teachers and educators picking up kids at home? Enough is enough. Hold parents accountable.